Taken from the Luxembourg artist's "High E.P." which is available, as is everything else in the world these days through Bandcamp although apparently there is a limited edition vinyl version but I don't know if that is available as yet. Taken from Tu Fawning's second album "A Monument" which will be released on City Slang on 7th May. Yet another track from the album Dream Familiar which has been gradually released one track per week every wednesday since the start of January. With just a few tracks remaining this is possibly my favorite so far. This is the B-Side of the new Wave Pictures single "Eskimo Kiss"which precedes the London band's new album "Long Black Cars" which will be released in the UK on 2nd April. This is Barefoot Beware's contribution to a split single which they share with fellow Leeds band Moody Gowns who contribute a track entitled "Stepmother". In celebration of this release a single launch party will be taking place at The Musiquarium in Leeds on 19th April which I would very much like to attend partly because I want to watch the bands but also because I've never been to The Musiquarium and it sounds brilliant. A lovely new track from the Denver quartet. If you like this pop over to their Bandcamp page where you will discover you can download last years "Teen Angst Tape" which is four track EP with a seriously dodgy sleeve. "Mirror Lady was born somewhere deep in the hills of Silverlake, CA with just her Casio Keyboard and a Cassette Deck." which all sounds very romantic don't you think. This is the first track made available from the Silverlake trio who will release their self titled debut EP next month. 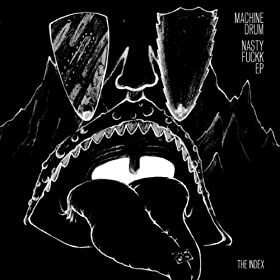 Taken from the well titled "Nastyfukk EP" which is available now on The Index label. If there was some kind of track of the week award this would be up there. I've been playing this pretty constantly for the last couple of days. It's a new track from San Diego band Crocodiles and precedes their third album "Endless Flowers" which will be released on Souterrain Transmissions on 4th June. This track will be released as a limited edition seven inch single backed with a version of "Fascist Cops" originally performed by The Kids on their 1978 self titled debut album. The single will be released on 26th March. While we wait for the new Wedding Present album "Valentino" next month have a listen to this. 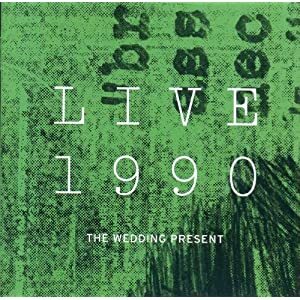 It's the latest in the series of Wedding Present live CDs this time featuring two gigs recorded as the title might suggest in 1990. The first set was recorded at Maxwells, Hoboken, New Jersey which was the Leeds bands first ever gig in North America. The other set meanwhile was recorded at London's now closed Kilburn National Ballroom from where this version of Kennedy is taken. If ever there was a record you needed to own it's this one. 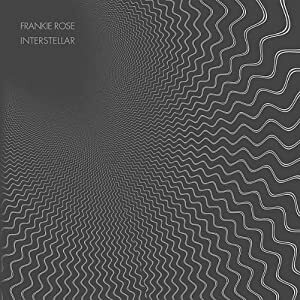 It's the second album by Frankue Rose and to be quite frank it's a bit of a masterpiece. This is a track from the Scottish bands forthcoming single which will be released on Flowers In The Dustbin on 14th May.